Sage is native to the Mediterranean region. A member of the mint family, culinary sage is highly aromatic and its flavor has been described as a mix of rosemary, pine and mint, or citrusy. Sage comes in the form of fresh, ground, cut and rubbed. Sage was sought, studied and used for medicinal purposes long before it was used in the kitchen. During the Roman Empire, sage was considered to be a “miracle herb” that could not only save you from a snake bite, but give you longevity as well. Sage has been used in teas as well as for potpourri. It is a highly scented herb and is a great spice for your kitchen. 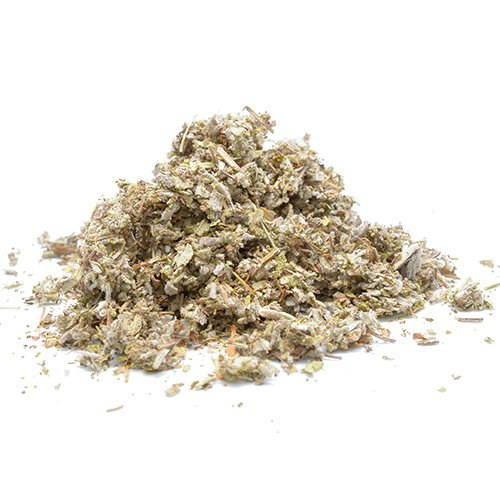 Sage has been proven to be a natural antiseptic and preservative for meat. Sprinkling roughly chopped sage leaves near the end of caramelizing onions or mushrooms, egg bakes, omelets, and even tea are other delicious ways to use this herb. North Americans most commonly associate sage with the spice used for turkey stuffings. Sage is excellent with gnocchi, risotto, pasta and bean soups, focaccia, marinades and aromatic oils. It also blends well with mild cheeses. To add a wonderful aroma to your favorite grilled dishes, try tossing the stems or leaves on the hot charcoals while cooking. In China, sage is brewed and consumed as a tea ”“ and has been since ancient times. When cooking with sage, add it just before serving for the most vibrant flavor. Sage is usually an annual shrub, as it does not easily tolerate summer heat and humidity. Set out plants in Spring or Fall and choose a sunny spot in well-drained soil. You will begin to see little pink or purple flowers in late Spring. Harvest sage only lightly during the first year and after that harvest sage as you need it, year-round. Cut an entire stem if desired, or just pinch a leaf at a time.